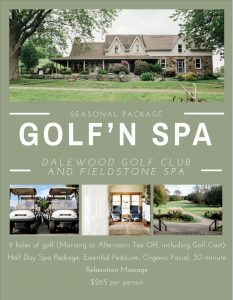 Dalewood Golf Club is a semi-private year round facility offering the amenities of a prestigious urban club, located in Northumberland County about 5 minutes drive from Fieldstone Spa! One of Canada’a only remaining ‘Atmospheric Theatres’, the Capitol opened as a 380-seat talking=picture house in 1930. Fully restored to its original splendour, it has since evolved into one of Ontario’s leading Regional Theatres presenting Live professional Theatre, Live Concerts, Films from Toronto International Film Festival, HD Opera Live from the MET and much more. Enjoy a performance at Capitol Theatre and present your ticket to Fieldstone Spa for 10% off any package or service! Enjoy some time with these beautiful animals at a neighbouring farm. You choose whether you want to take this time and learn how to groom and tack up your horse, some equine therapy or get on the horse and try your skills around the riding ring. After you’ve enjoyed your time, come on to the Spa and enjoy your relaxing massage for those sore muscles, and finsh off with pretty toes and a pedicure looking out over the countryside. Indulge together, in our couples suite! We have several packages you can choose from that are designed specifically for two people, so grab the one you love and experience the spa together! Choose either 60 minute Relaxation Massages or 45 minute Organic Facials both of you or 1 of each! One person spends the morning at the golf course, the other at the spa, meet up for lunch at The Spa and enjoy a couples massage together!